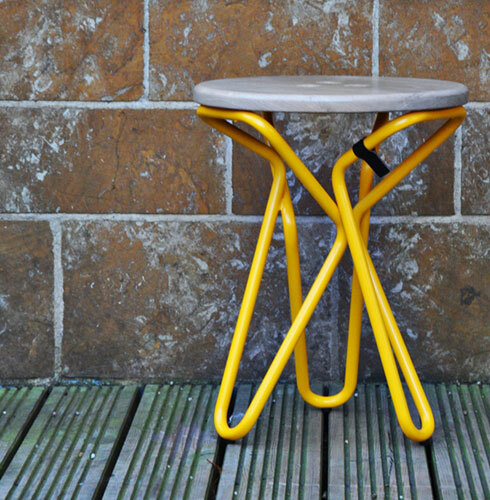 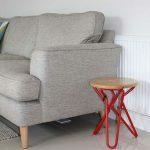 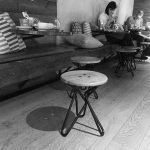 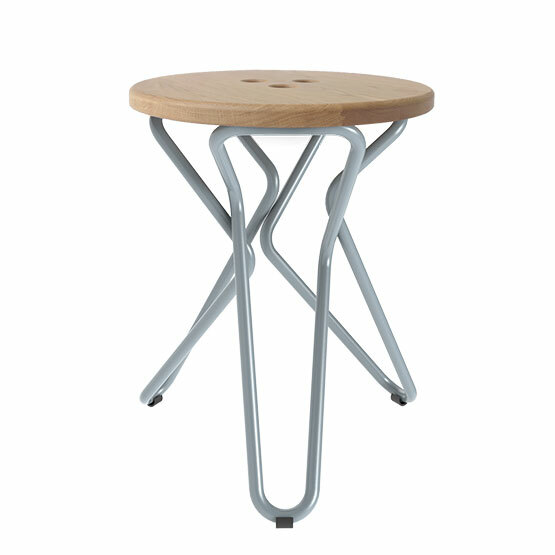 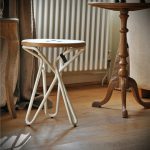 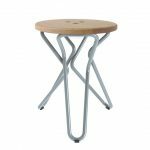 The Olly Stool, an updated take on the traditional tri-symmetric stool, with three tubular steel frames that appear to be self-supporting and a beautiful solid European Oak, Birch Plywood or Upholstered stool top. 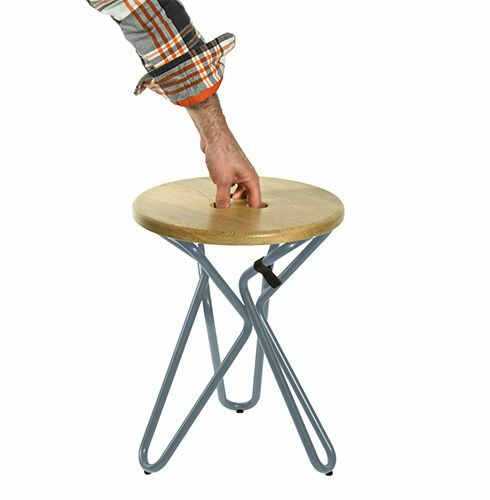 The Olly features fun bowling ball style finger holes for lifting and positioning. 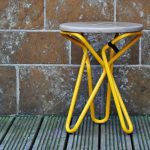 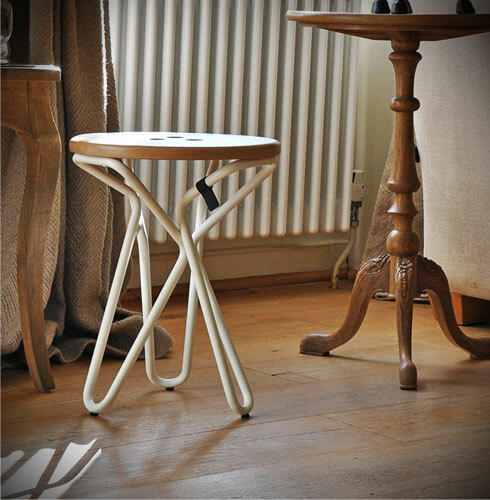 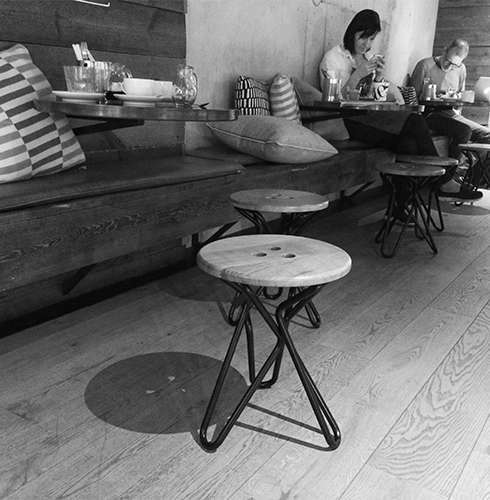 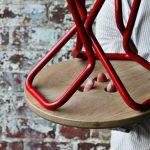 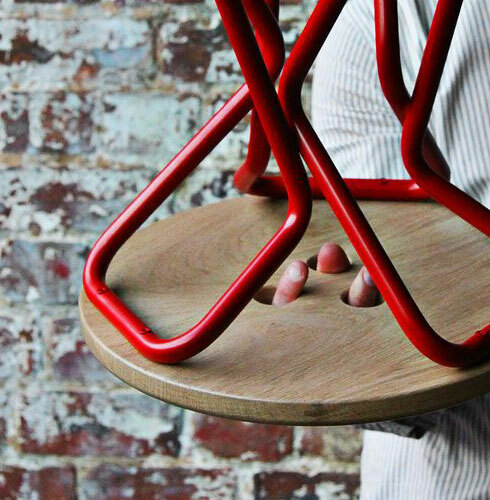 The Olly Stool was awarded a prestigious ‘Design Guild Mark’ in 2014 for excellence in British furniture design & manufacture.